Streamline your security presence with Defender® Wireless. 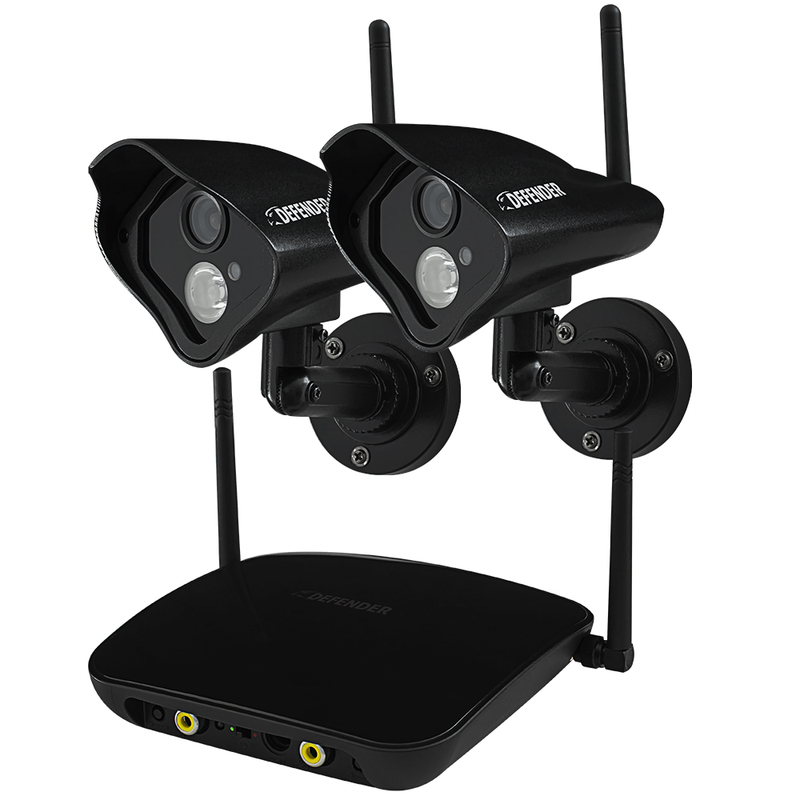 Cutting-edge ClearVu™ digital wireless technology sends your cameras’ video feeds to a receiver without having to run a cable all the way to your DVR storage device or monitor. With 750ft range, you no longer have to worry about running out of cabling during setup. Simply connect the cameras to a power supply and begin monitoring any indoor or outdoor space within minutes! LED allows each camera to see up to 100ft in the dark so you’ll know exactly what’s happening, day and night. LEDs automatically activate as soon as low-light levels are detected. Defender®’s wireless Phoenix™ Pro system gives you all the peace of mind of a professionally installed system with the satisfaction that comes from knowing you did it all yourself. Don’t leave the safety of your property to chance – trust Defender® to help you protect what you value most. Our free ClearVu® app keeps you connected in real-time to the things you value most, whether you’re around the corner or around the world. Watch live footage in real-time, play back stored footage, record video and snap photos directly from your smartphone. Download ClearVu® app for free on the iTunes App Store and Google Play. Using lowest quality settings at 1 FPS. Optimum transmission range is 200 feet when signal is passing through walls or floors. Microwave ovens (when in use) as well as other wireless devices may cause signal disruption at close range. Buildings with metal frames may also cause signal disruption. Maximum transmission range is 750ft. This product contains small parts. Exercise care when unpacking and assembling the product around children. Internet connection is required to monitor the system from a computer And may incur in extra charges from your service provider. DEFENDER® is not responsible for charges incurred from monitoring the system remotely from a mobile device or a computer. This product and its included technologies may be protected by one or more international patent/s or patent/s pending. ©2015 DEFENDER®. All rights reserved. DEFENDER®, the DEFENDER® logo and other DEFENDER® marks may be registered. All other Trademarks are the property of their respective owners.